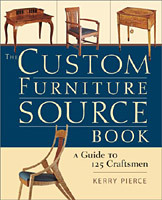 Jeff's work was selected for and featured in the recent book from Taunton Press (the publisher of Fine Woodworking magazine): The Custom Furniture Source Book: A Guide to 125 Craftsmen by Kerry Pierce. This book is a juried distillation of "...the work of some of North America's finest furniture makers." “Stewards of Beautifully Crafted Furniture"
The Maine Crafts Guild is dedicated to excellence in craft. We promote understanding and appreciation for quality craftsmanship as an art form and a way of life to the people of Maine and our many visitors. We represent the finest Maine artisans, providing high quality promotional and marketing opportunities for our professional members through our web presence, our highly regarded craft shows, and our outreach programs. The 84th Annual League of NH Craftsmen's Fair will be held on August 5-13, 2017. ​Bill Truslow is a highly skilled professional photographer in New Hampshire (NH) who excels at industrial photography, corporate photography & healthcare .